You always know how Cheryl Lane&apos;s day is going the minute you greet her. And even on a bad day, she&apos;ll make you laugh. When I breezed into the chill-vibe taproom at Double Barley Brewing for the interview she greeted me with a hug and said, "you know, the way I&apos;ve been feeling today, I&apos;m not sure I want you to put me in a blog called meet the maker." Classic Cheryl. I am never not laughing when I&apos;m at Double Barley. Last week I talked about my new blog series Meet the Makers - not The Maker, Cheryl - and if you missed it, click here to read. 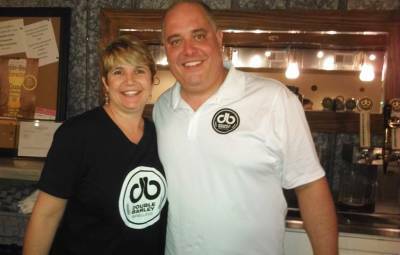 I recently sat down with another craft brewery in JoCo called Double Barley, owned by Larry and Cheryl Lane. Both have an engineering degree - if you read the last Meet the Makers blog you will notice a pattern, and for good reason. Larry explained, "engineers are analytical. We love processes. Crafting a great beer recipe takes ingenuity, but to craft great beer consistently at commercial volumes, that takes precision." So what makes consistent beer? "Having the same ingredients, going into the process in the same order, at the same time in the process, at the same temperature," Larry gestured around the tap room to the patrons, "the better question is, why is consistency so important? There is a bond in the craft beer industry between the people that make the beer and the people that drink the beer. When you drink your favorite beer today you want it to taste like it did yesterday and last month. As a brewer, delivering that consistency is important to me." I asked him about the creative part, "I&apos;m not particularly creative, but I love food. 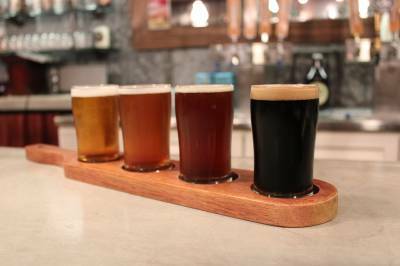 If you have a developed palate then you have a taste for beer." Larry admitted that he doesn&apos;t do a lot of the day to day brewing. I wondered why and was told that he still has a full-time job as an engineer. I must have looked stupefied because Cheryl laughed at me and interjected, "honey, we have 3 growing boys at home and it&apos;s all I can do to run this place and run them. We don&apos;t wanna kill ourselves trying to grow this place hand-over-fist. We had a plan when we opened the brewery. Larry was always going to keep his day job. Slow, steady, positive growth is good with us." So, who brews your delicious Double Barley beer? That would be Mark Kirby, also at the table with Larry, Cheryl, and I. He&apos;s almost a one-man-show. Cheryl gestured to him, "by the Grace of God we found Mark." Larry rolled his eyes, "I wouldn&apos;t go that far." Cheryl laughed, "He&apos;s like family. Everyone who works for us is like family." Mark is in fact not an engineer, but he has one rule, "I don&apos;t make bad beer." Sounds simpler than it is. Larry, Cheryl, and Mark are the brewing team, making decisions on Double Barley brews from staples to seasonals to sensational experiments. The team likes to start with a style of beer and then brainstorm flavors based off of corresponding matches. Larry explained, "fruit flavors work really well with wheat beers. We&apos;re always going to do a summer time wheat beer with fruit. Last year it was strawberry. This year it was blueberry." Mark and Larry banter back a forth about hops as I madly scribbled things down in my notebook, "matching the hops is vital to the style and the flavor you want. There are over 2,000 different varietals of hops. And those are just the ones with names. Some are still in an experimental phase and simply have a number assigned to them." Apparently hops can give off flavor and aroma profiles. Sometimes when you smell or taste what you perceive as a food additive to a beer - lemon, mango, pine - you could be getting that from the hops used, not necessarily because that food was added to the beer. Fascinating. 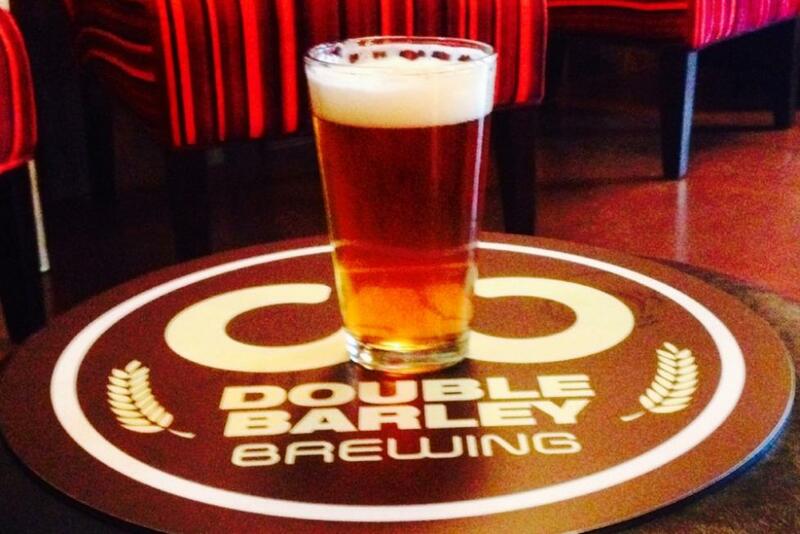 So, what crazy things does Double Barley do to experiment? They are currently working on a Russian Imperial Stout aged in red zinfandel wine barrels. It will have a 15% ABV (alcohol by volume) which is the highest percentage allowed by NC law. Other barrel aging experiments include gin bourbon barrels and whiskey barrels. Despite the best brewing and marketing though, sometimes a beer doesn&apos;t take off like you think. Cheryl was really proud of their Touché IPA, but it entered into an IPA saturated market. Their Abby&apos;s Amber on the other hand had almost no competition in the market. It was a traditional English Amber, hard to find in NC. It did even better than they had hoped. The brewery is also considering the possibility of adding cans in addition to the bottles they currently package beer in. Never fear, just the packaging is changing, not the killer beer or uniquely humorous names and stories that accompany each beer. Cheryl says that keeping the names of the beers, and the stories behind those names, is important to the entire Double Barley team, "most of the time we brew the beer first and then a name follows. We collaborate together on the concept for each beer, which can lead to better ideas but also means the melding of more opinions. We always aim to be funny. It&apos;s the coolest part of the job for me." Come for the Beer. Stay for the Fun. No matter your favorite sort of beer, Double Barley has something for every craft beer enthusiast. People come from different cities and states to spend time tasting in their tap room. Larry mentioned that they get tons of people who have found them online and come off I-95. As the interview progressed, a couple from Virginia ambled in to the tap room. That happens a lot at Double Barley. 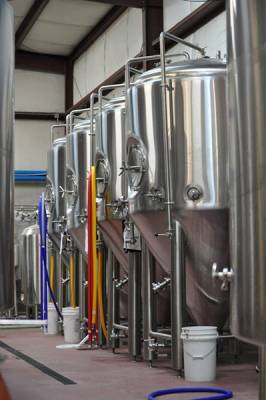 The tap room is in the cross-hairs of business 70, highway 70, highway 301, and I-95. Folks visiting Raleigh, Johnston County, or just on the way somewhere else, stop by for a now renown beer. There&apos;s certainly an awakening in the Raleigh brewery and craft beer scene; Double Barley and Johnston County continues to be a part of that growth. Larry summed up why people love their beer, "we&apos;re a family here and everyone loves what they&apos;re doing. You can taste that passion in the beer." If you haven&apos;t ever been to Double Barley, make sure you head over tomorrow for the release party of their Gourd Rocker pumpkin porter. Another up-and-coming event will be the beer release party for a special beer created by Double Barley for Crobot, a rock band. The band will be at the brewery to drink their brew and play some tunes on the 10th of October. It will be a rousing, cold-brew-fueled, heck of a good time. Which honestly describes Double Barley on any given night. Check out what visitors to Double Barley already know... it&apos;s double the fun! Catch you next time for Meet the Makers. Cheers!